Let's start by looking at a few of my goals for 2017 (read the complete post here). Make 17 quilts in 2017. Check. Sewing curves (here and here), sewing improv curves, more fabric weaving, (here and here), open fabric weaving (here, here, and here), hosted a quilt along, and much more! I didn't quite make this one. I released four self-published patterns (Speak Love, Rockslide, Sliced, and Party Pop) and the Pineapple Selvage pattern in Make Modern. Publish two quilts in magazines. My pineapple selvage quilt pattern was in Make Modern, my Split Mountain quilt block was in 100 Blocks Volume 15, and my Skyscraper quilt block was in 100 Blocks Volume 16. I also had my Snowfall quilt in the Island Batik fabric catalog, my Snowfall quilt in the Connecting Threads catalog, and a mini quilt in the Curated Quilts journal. I was the "Back Page Blogger" in Modern Quilts Unlimited, and my local newspaper even featured me in their people section! When I wrote this goal last year, it seemed HUGE! 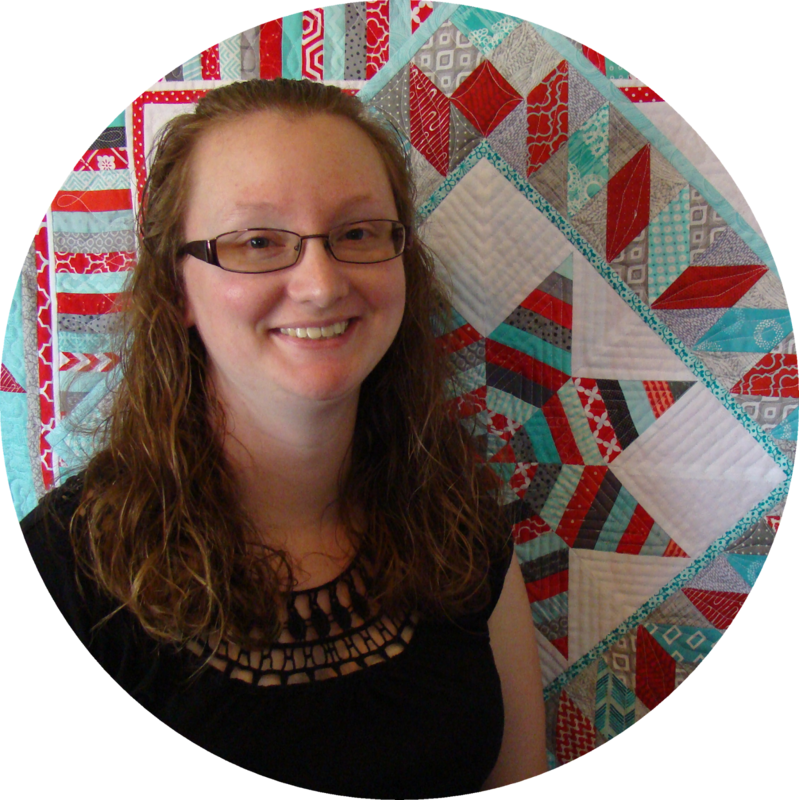 Then one thing led to another, and I was able to attend Spring Quilt Market in St. Louis! Moving this one to the 2018 list! So what will 2018 have in store?? A lot! I have some pretty specific business goals this year, but I'll just touch on a few here. Yep. Call me crazy. But I really believe in giving to, helping, and loving others. I already have a plan in place for this, so keep an eye out! The countdown (countup?) starts next week! That's 18 quilts that are not part of the charity quilts goal. Based on my quilty schedule for January, this won't take long to reach. I must make this a priority this year. I have three in the works right now, with ideas for several more. I'm saying no to several other things so this can happen. Maybe Fall Market in Houston this year?? When a person makes 49 quilts in a year (so far!) and plans to make 52+18 for the following year, that person should probably look into buying a longarm. Writing new patterns and listing some of my quilts for sale on Etsy will hopefully help fund that dream. This list never seems to get any shorter! I'm always adding to it! I give myself lots of grace when it comes to goals. I will likely exceed some of them, and I'll likely fall short of others. 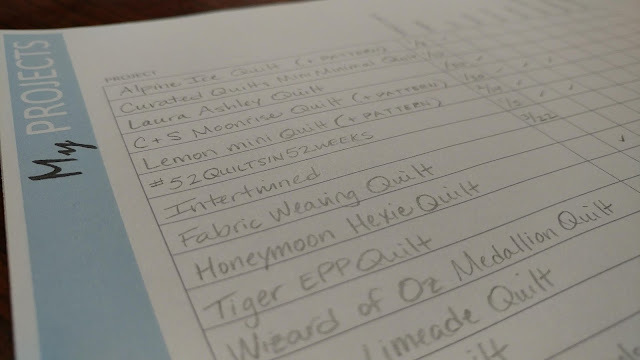 I have some quilts that have been on my "to make" list for at least five years. Some of those will likely not get done this year either - and that's okay! There's a lot that happens in one's life besides making quilts! Quilting keeps me sane. It's therapy. And I don't mean that flippantly. I truly believe it. I plan to quilt for many, many years and make many, many quilts. If it doesn't happen this year, I'll just move it to next year's list! My goals help me stay focused and be productive - because we all know I get distracted by fabric! 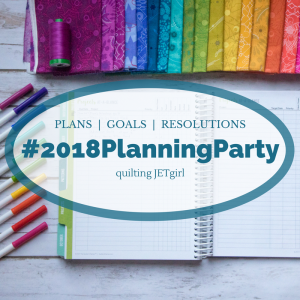 Linking up to Quilting JetGirl's 2018 Planning Party. 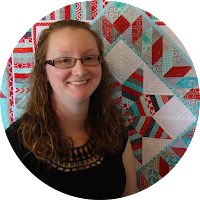 Wow, Laura, I am really, really in amazement at your 52 charity quilts for next year; I love that you have a plan and I will be here to cheer you along if you need it. That is amazing and full of so much care that it really took my breath away. Thank you so much for linking up and I hope that you have a lot of peace, joy, and quilting therapy in 2018! You are kidding - 52 quilts for charity AND 18 others AND more and more. You are one focused woman and I know you will accomplish quite a bit! I can’t wait to watch this unfold! Hope the longarm works out soon as you really need one. So fun getting to know you and love watching your talent! You continue to amaze me. I think with your dedication to fabric and fun, you'll be meeting and exceeding a lot of those goals. Wishing you a very happy new year filled with fun, fabric, family and friends. Don't forget about those friends, they'll help you meet your goals. I hope you can meet your goals or at least come close. I definitely believe you need a long arm. Happy stitching in 2018! Amazing goals! I love that you plan on making all those quilts for charity. Good luck with funding that long-arm! I hope 2018 is good to you. Wow, girl, you inspire me! 52 in 52. I'm planning on making charity quilts for Jack's Basket (https://www.jacksbasket.org/) in 2018. After reading your plan, I'm upping my goal. Let's do this thing! WOW you had a great 2017 and it looks like 2018 will be another great quilting year for you. I too enjoy doing quilts for charity, but that is one big goal. I look forward to seeing your work in 2018.